Pixelscopic’s success on Kickstarter was no accident, meticulous planning went into their campaign. Involving the audience in development is a sure way to ensure an audience for your games. IAN : Hello! 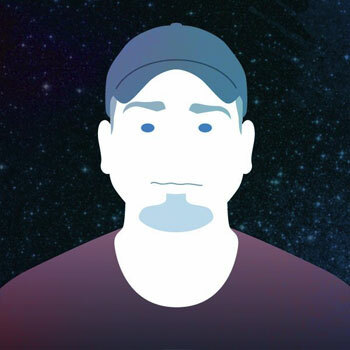 Today, I’m speaking with Mr. Coby Utter, cofounder, CEO, and Engineering Director for Pixelscopic, an independent interactive media game company based in Missouri. Thank you for joining me today. COBY: Thanks for having me. IAN : Before you cofounded Pixelscopic, you were a lead programmer and later a programming director at another firm. What lessons can you share with us from your experience in mainstream game development that have been the most valuable to you as an independent developer? COBY: The—my previous experience effectively—the best thing that I got out of it was understanding the entire process of game development, interfacing with not just other programmers in the team but also the non-programming folks such as the artists, the producers, even the HR and business people—and finally really grasping what it takes to take a game from zero to actually putting it on shelves in a retail store. I’ve been working on games as a sort of hobbyist for several years prior to that experience but I never really finished any big projects, never really finished anything commercial at all. So going there and learning that part of it I think is probably the biggest benefit for me. So whenever I was able to found Pixelscopic, from the very beginning, I knew how much effort it took to go from an idea to an actual saleable retail product. IAN : Awesome! And earlier last year, Pixelscopic began developing Delver’s Drop as their first original title. Part of the game development was a funding campaign using Kickstarter which was an inspiring success. Can you share some tips with us or other developers who might be looking to use Kickstarter for funding? COBY: Yes. Kickstarter was actually an interesting process for us. We actually started paying attention to that community a few years ago before it was really a big deal in terms of video games or a big deal in general actually, and we funded, or help fund some small games here and there before starting up the company. And it was a pretty interesting thing for us. We actually didn’t even really consider the viable option for our internal stuff. All of us have sort of come from the mainstream game industry and were heavily entrenched in the very typical publisher requires—publisher that requires a relationship. So we were able to assume that we were—have enough money to make our own game which was sort of the original goal—or find a publisher to help us fund it. It became pretty clear quickly that it was going to take us a very, very long time to be able to save up enough money just for—to start our own game, just doing contract work where the margins were less than inspiring most of the time. And so we actually—we did pitch overs with few publishers and we had some interest but really the terms were just nowhere near what we could stomach. I don’t want to have to do with keeping the intellectual property. That was one thing that we wouldn’t give up. And effectively that closed a lot of doors for us. So after we’ve done that and we showed the game at PAX, we decided that maybe the Kickstarter was a good option for us since we started looking to it and obviously we did that and we did that well. The biggest piece of advice I could give to anyone else considering it is just to make sure that you have everything fully researched out. All of your costs, all of your expenses, a reasonable timeframe. We’re actually going to ship the very first deliverable within a couple of weeks late despite many, many hours of meticulous planning. So if you’re going to at—with half-hearted planning, it’s bound to be a disaster. So, yes. Really spend the time and effort upfront to make sure that you have products and a good campaign and that you can control the obligations that you set up for. IAN : Awesome. And in your Kickstarter campaign, you also involved your audience in getting to help shape some of the project. How involved do you think the audience should be and how important is it do you think that they impact the final result? COBY: I think that just—I think it’s a really cool thing, actually. I think it’s sort of a natural evolution of the—ever more connected world that we live in. I don’t have some sort of giant artistic ego like it’s my way to make the most beautiful piece of art. No, I can’t take any kind of feedback. For me it’s not that at all. It’s much more interesting to actually show something to people early. Let them play it early. Get their feedback on it. Take their ideas. And for me building up a community is actually just as important as building the game itself. I would really not be happy making games that didn’t have a community around them. Maybe they can be commercially-viable, but in our case particularly, I think that they’re more commercially-viable because we want to involve the community and in general, they’re more fulfilling to develop. IAN : Great! I want to thank you again for speaking with me. You can get all the news and updates on Pixelscopic’s upcoming title at DelversDrop.com. Also, the next time you’re on Steam, I hope you’ll support Delver’s Drop with a Greenlight vote. Cheers!